Magnesium is an essential mineral that our body needs for over 300 cell functions (1). These include things like regulating blood pressure, controlling blood sugars, and controlling the muscles and nerves in your body. It works together with other minerals to perform its job. Calcium, potassium, sodium, and vitamin D are all needed in order for magnesium to be properly utilized by the body. So it is important to consume them together to maximize magnesium’s effect. How Can We Become Deficient? Unfortunately, many of us are deficient in magnesium. There are many factors that can contribute to a person becoming deficient. Keep reading to find out! Modern farming practices have stripped the Earth of the essential minerals in that used to exist in the top layer of the soil (2). Modern farmers will fertilize their crops in an attempt to balance the depleted soils, but they typically only fertilize with three nutrients; phosphorous, nitrogen, and potassium. They completely leave out all the other minerals. This means that the food that is grown in these soils are deficient in all other minerals — including magnesium. This makes it very hard to get all the nutrients you need through eating a regular diet. Extra care needs to be taken to make sure that you regularly consume foods that are packed with nutrition in order to get all the vitamins and minerals you need. Smoothies are an easy and delicious way to get loads of nutrition all at once. Salads are great at providing a variety of nutrients and lots of beneficial fiber. Herbal teas are great at providing a nutritional boost. Stress is another major factor causing people to become deficient since magnesium is needed for a healthy nervous system! If you’re stressed your body is using magnesium at a much higher rate than a person whose body is in a non-stressed state. Things that can contribute to your stress levels include work, family illness, being pregnant, having young children, and exposure to chemicals in our environment. All of these things can make the body use magnesium at a much higher rate than if there weren’t any stressors involved. The less physical and mental stress you have the less magnesium your body will use. How Can We Find Out if We’re Deficient? There is a blood test that you can request from your health care provider called the Red Blood Cell (RBC) Magnesium test. This test will look more closely at your blood at the individual cell to see how much magnesium is INSIDE the cell and not just floating around in your bloodstream. 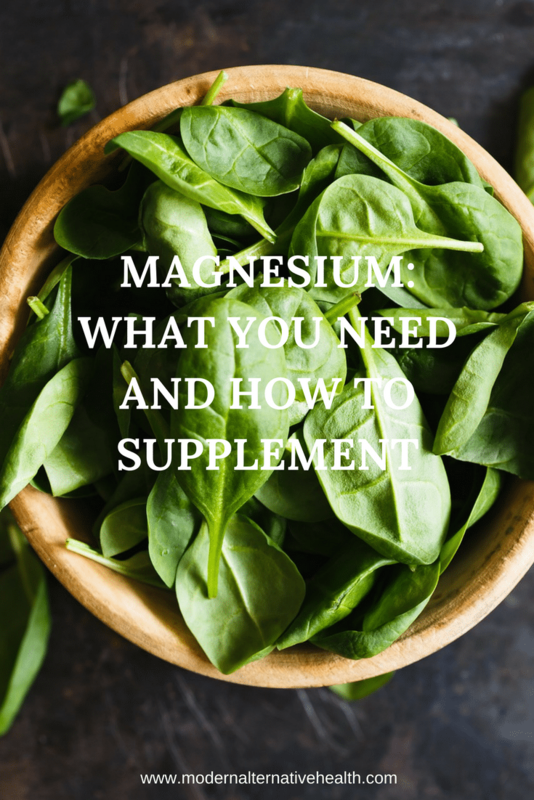 The more magnesium inside the cell the better, since that is where it will do its job! Another way is to listen to your body. Do you find yourself with any of these complaints? You might be low in magnesium! Supplements are an easy way to bring up your levels fast. Just be sure to steer clear of magnesium citrate since it will cause loose stools if you consume too much. It would be better to take other forms of magnesium such as orotate, glycinate, or taurate. These forms won’t cause an upset stomach like citrate and can be taken at higher doses as directed by their labels. But there are no documented cases of magnesium overdose in any medical literature, so rest assured that you won’t cause any harm (1). Alternately, you could use Epsom salts in your bath water to increase your levels. Just add one cup of Epsom salts to your bath water and soak for 45 minutes three to four times per week. Make sure that you do not rinse off after your bath, or the magnesium on your skin will be washed off instead of being absorbed. Another easy way to increase your levels is to use something called magnesium oil. This wonderful form of magnesium comes in a spray bottle. It is made by dissolving magnesium chloride flakes into water. You can spray it on, all over your body, and let it absorb for 20 minutes before a shower. Or you can apply it to the bottoms of your feet before bed. There can be a slight tingling sensation in people with sensitive skin. If it becomes too much, you can always rinse it off in cool water. Just be sure to avoid applying the oil to an area that contains mucus membranes. Not a fan of the oil but still want to take advantage of how well magnesium is absorbed transdermally? Magnesium lotion is another option great option. Just a small amount used nightly will increase magnesium levels and promote restful sleep. What Foods Could I Eat? You could also make teas using herbs to add even more nutrition to your diet! A couple of cups of tea per day can really boost your nutrition. And it’s a nice relaxing stress reliever, too, which will help you to use less of the magnesium you are consuming by reducing your stress levels. Growing your own herbs is a great way to have fresh, nutrient-dense herbs right at your fingertips. Think your space is too small to grow herbs? All you need is a windowsill that gets decent sun and you can have fresh herbs at your fingertips. 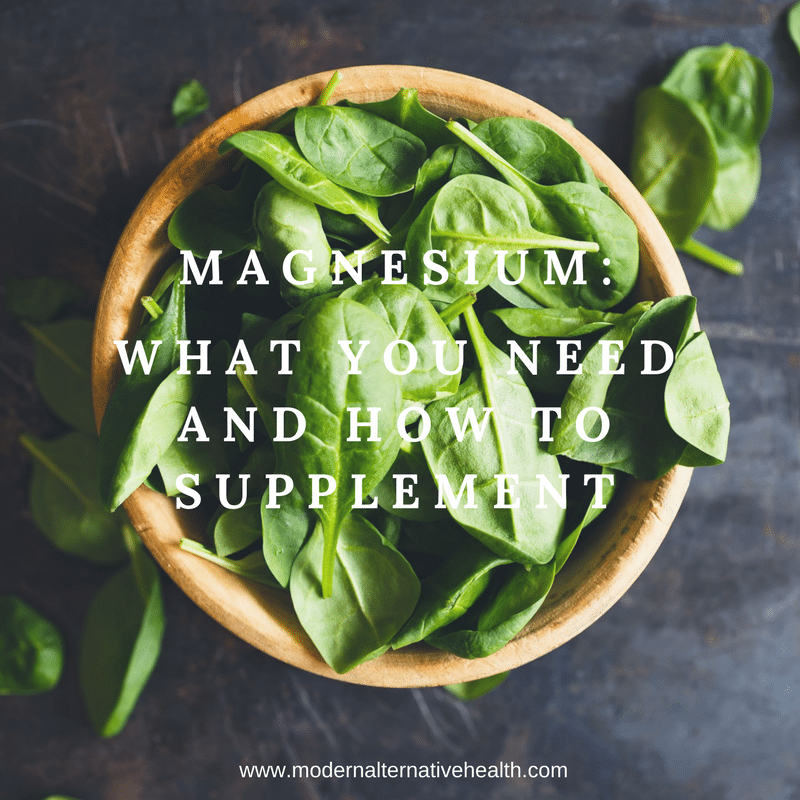 Do you struggle with magnesium deficiency? What is your favorite way to supplement? Informative and enjoyable to read.I feel more confident in steering my decisions to healthier life choices. Informative and enjoyable to read.I feel more confident in making healthier life choices. I use a magnesium supplement without magnesium citrate! Thank you for validating my actions!